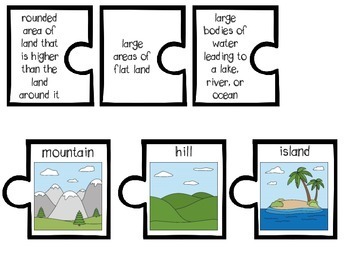 This product reviews 9 different landforms and their definitions. This contains 2 versions of the game. 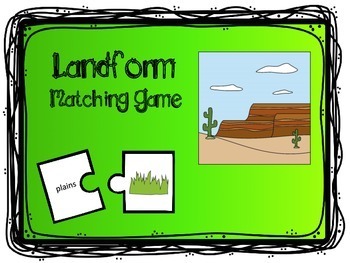 One version matches the landform to the picture of the landform. 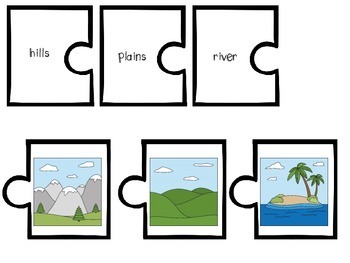 The second version matches the landform picture to the definition of each landform. Perfect for use in journals.